Early on Monday, there was an ominous sign from the Bills about the status of starting quarterback Tyrod Taylor. Later on Monday, an encouraging sign about the status of Taylor. It all made for a confusing Labor Day, and questions remain about Taylor’s status for Sunday’s season opener against the Jets. 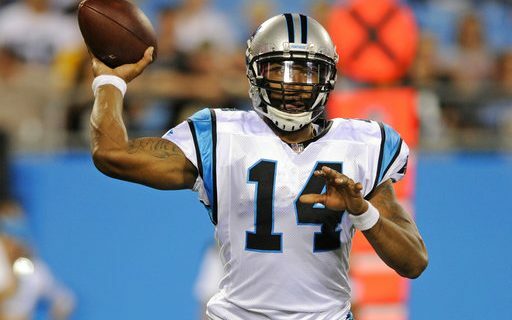 First, the team announced the signing of veteran quarterback Joe Webb. That gives them four QB’s on the roster, a rarity. Head Coach Sean McDermott confirmed that Taylor and backup T.J. Yates were still in the concussion protocol, and offered no indication of their status for Sunday. But signing Webb was a clear indication that both might not be ready, and Webb would serve as Nathan Peterman’s backup against the Jets. If Peterman does make his debut as the Bills starting quarterback, McDermott is confident. “He is ready. When you look at what he’s done throughout the preseason, I’m confident and we’re extremely confident in Nathan. I expect that he’s only going to continue to get better, just like all of our young players, all of our players as a matter of fact. That’s what this is about. This is about development in terms of a young player. We’re looking for all of our players to continue to improve, all of our coaches, myself, that’s what we do,” he said. But later in the morning, the team sent out a picture of Taylor practicing. There is no word whether that means that Taylor is out of the concussion protocol. But it certainly is encouraging that Taylor is out on the field and practicing. Adding another layer to the quarterback story, is a tweet from Buffalo Sports Page NFL Expert Greg Gabriel. He’s made it clear he is not a Taylor fan, and Greg thinks the best thing to happen is Peterman starting on Sunday. We’ll have more from Greg on his thoughts about Taylor & Peterman later in the week.